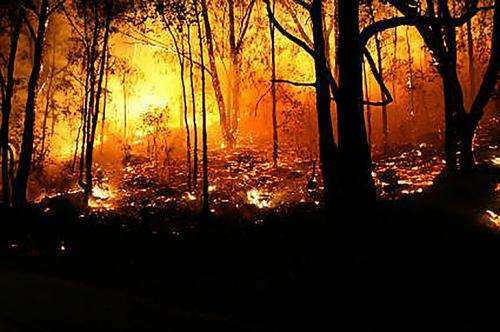 Accounting for wildfire is essential in achieving an accurate and realistic calculation of the carbon payback period associated with converting forest biomass into energy, according to a new study. Researchers said their analysis of carbon-accounting methods is expected to inform the scientific debate about the sustainability of such conversion projects. Some contend that biomass is inherently carbon neutral because the trees sequestered the carbon from the atmosphere, while others argue that when a forest is harvested to produce energy, it represents a substantial carbon debt because it will take many years for new trees growing in that location to sequester the carbon emitted when the energy was produced. 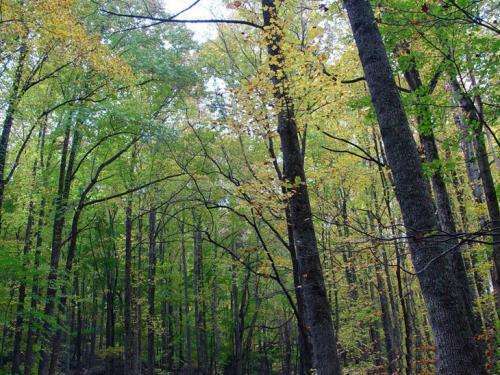 The time it takes to capture that carbon in new trees is called the carbon-payback period. Defining a baseline for carbon stocks in a forest ecosystem has been the focus of research and policymaking of late because it is the carbon benchmark against which the effect of biomass energy development is evaluated. There is disagreement about the type of baseline to use; some have argued for the use of a static baseline and others for a dynamic baseline. A static baseline uses the amount of carbon stored in the forest before the project and assumes it remains unchanged over time, whereas a dynamic baseline assumes that the carbon stock will vary as the forest changes. But a recent analysis done by a team of researchers from around the country has found that the type of baseline isn't really all that influential in determining the carbon-payback period for projects. The research, published online this month in Global Change Biology – Bioenergy, reveals that there are other factors that have far more influence on the payback period. First and foremost among these factors is forest disturbance, according to Matthew Hurteau, assistant professor of forest resources in Penn State's College of Agricultural Sciences, a leading member of the research team. Quantifying the carbon balance of using forests for biomass feedstock is not a simple task because there are many factors that have to be considered, he explained. For example, if the forest is likely to be harvested for wood products, the demand for wood products such as paper doesn't go away if the trees instead are harvested for biomass energy. "This could cause forests elsewhere to be harvested for wood products, a concept known as leakage," he said. "However, emerging biomass markets could also increase forest carbon storage if they encourage additional forest planting or avoid land-use change from forest to some other land use." Another issue, Hurteau noted, is that forests and the carbon they contain are not static in time. "Trees grow and die. Year-to-year variability in temperature and precipitation can affect both growth and mortality rates. Disturbances such as wildfire and insect outbreaks can kill trees. "These and many other factors affect the amount of carbon stored in and sequestered by forests, and are all part of a baseline," he said. "The baseline is the amount of carbon the forest would store in the absence of the biomass project, and how much carbon would be emitted to generate energy using fossil fuels." Led by Thomas Buchholz, of the Spatial Informatics Group of California, and Hurteau, researchers analyzed the results of 38 previously published studies on forest biomass carbon accounting that included a measure of carbon-payback period (how long until the carbon debt is gone and the forest biomass project is carbon neutral). The carbon payback periods for the studies included in their analysis ranged from zero to 8,000 years. The researchers identified 20 attributes to classify these studies. They included factors such as type of forest (plantation or natural), fossil fuel energy source displaced, and whether or not the study included natural disturbance when modeling forests. After they classified all of the studies based on these attributes, they ran an analysis to determine which attributes were most influential for determining the carbon-payback period. "Given all the debate around baseline, our results were surprising. The most influential factor was whether or not the study included the effects of wildfire in the quantification of the carbon-payback period for a project," Hurteau said. "Projects that did include wildfire had much more variable payback periods, which tended to be longer. In the case of wildfire, the payback period is considerably shorter if thinning to reduce fire risk is happening anyway because then energy is being generated from waste material. Other attributes such as leakage and whether the study included a life-cycle assessment of wood products were also influential factors for determining the length of the payback period." The type of baseline—reference point or dynamic—was only influential after many other attributes were accounted for and only for a handful of the studies researchers analyzed, he added.